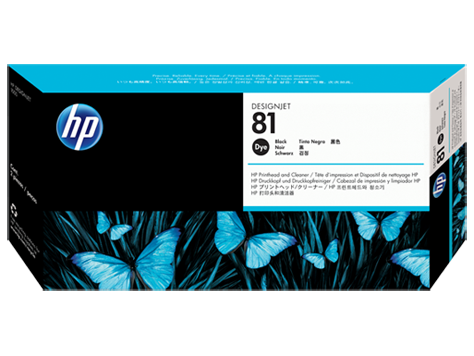 C4950A HP 81 Dye Printheads produce color-rich images on a variety of media. Long-life printheads work with HP Designjet printers for fast, reliable, cost-effective operation. Smart printing technology3 monitors printhead performance to optimize results. To Recieve updates and possible rewards for Hewlett Packard (HP) HP 81 Black Dye Printhead and Printhead Cleaner please sign in. To Recieve updates and possible rewards for Printer Cartridge, Ink & Toner please sign in.